Math geek? If you like the clean geometric design of the type posters, you may enjoy something even more mathematical. Design that transcends repetition: Art of Pi, Phi and e posters. Letters give a type weight. Intertypes give a type cohesion. The intertypes (my own term) are the spaces between letters. 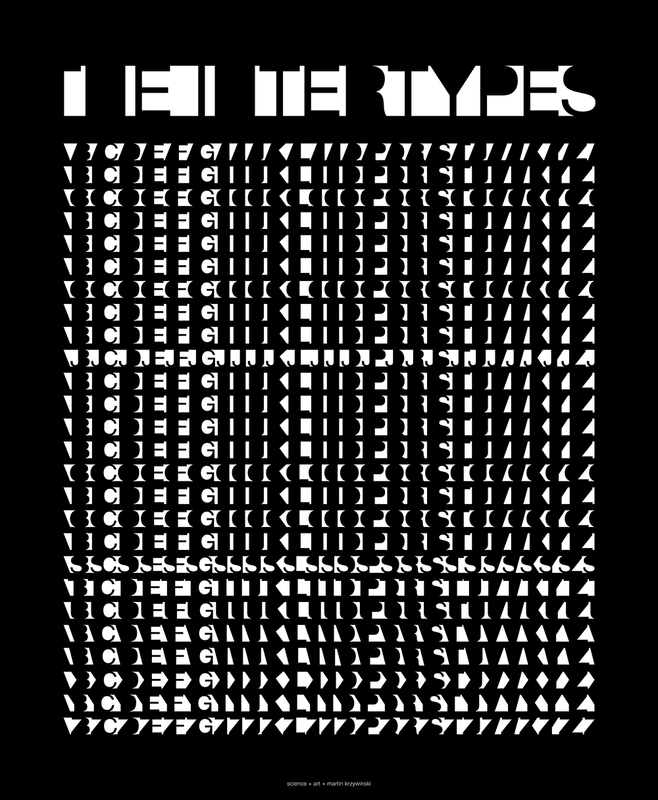 This poster shows all 26 ×26 = 686 intertypes for Helvetica Neue. Sometimes to understand the whole, we need to look more closely at its parts. I include Emigre's Platelet because it's such a goofy and fun font. One look at the lower case b and you know this isn't a type face that wears a tie.